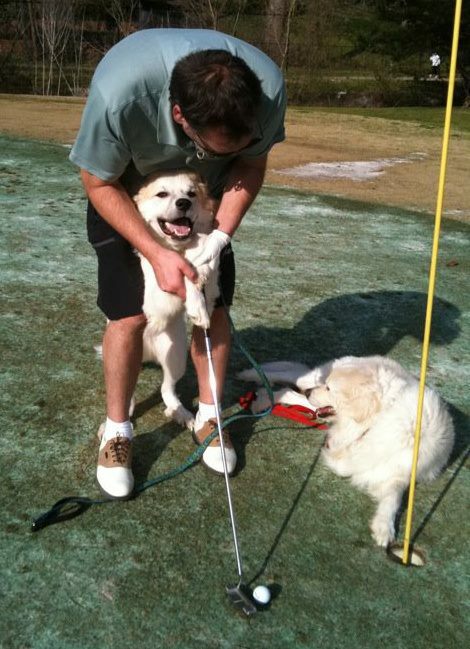 We all know the famous line from Apocalypse Now, "Charlie don't surf", but there's a lesser known one from my travels, "Pet parents don't golf". Never understood why really since alot of public courses let you take your companion with you. That's actually how Malcolm, my first great Pyrenees, and I became eternal mates. Golf. That's him with Murphy's mum at the Alsatian golf club. 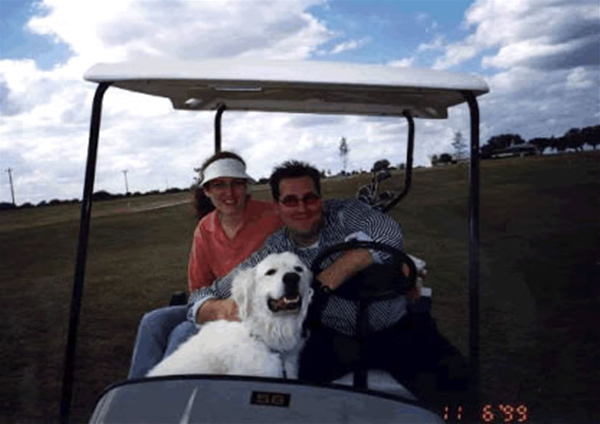 He rode shotgun in the cart, never barked in my backswing, and gave me, ahem, a mulligan here and there. What more could you ask of a mate? I've always wanted to promote golf as another way to spend more time with your companion and coming up in August, we're hosting the first annual 'Puppy Up and Putt it In' golf tournament in San Antonio, TX. It's hosted at the beautiful JW Marriott TPC Canyons Course and the proceeds from the event go to funding comparative oncology research and education and awareness about cancer in dogs. And yes'm we keep the tradition alive. That's Indiana Jones at a golf course in Atlanta GA. The question I get most about this pic - was he putting for par?